Our custom napkins ship mill direct to your restaurant, bar, hotel, office, or warehouse. Same-day quoting, speedy artwork, and fast order processing. We manufacture our products using high-grade, American-made pulp and ink. Our customer service specialists work with you every step of the way! 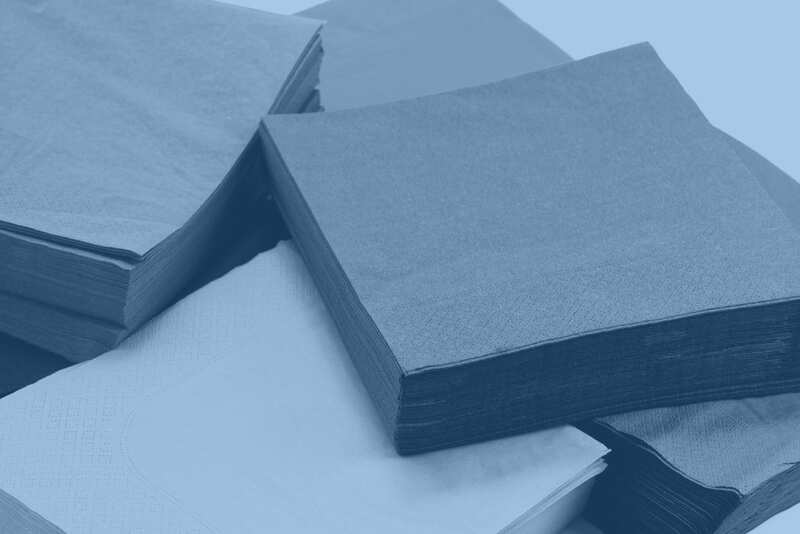 Our napkins are made from 100% recycled paper. They are compostable and biodegradable. Our inks are American-made and USDA-certified. We work hard to provide you with the napkins you need without jeopardizing old-growth forests. We never use virgin pulp. And by striving for top-notch purity, we are safer for you, your customers, and the environment. Established in 2004, Napkins-Only is the leading online distributor of custom printed napkins for the foodservice and hospitality industries worldwide. We provide our customers with unprecedented online access to American-manufactured custom napkins at wholesale mill pricing. We are the fastest in the industry for quoting (1 hour) and proofing (24 hours). Check out our gallery to get inspired!